The employees at The Curio Shoppe are all ready and willing to help you with any questions that you might have. They look forward to having the chance to assist you in making your Curio Shoppe decisions. With so many things to choose from, sometimes finding the right gift simply takes the right help from the right people. 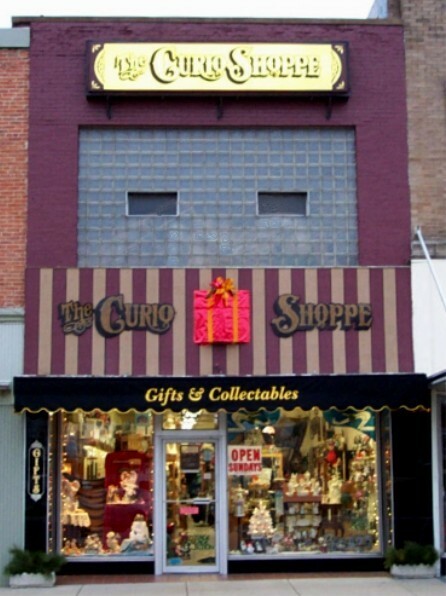 Joe Shields, owner and manager of The Curio Shoppe, has been in the collectibles business for over three decades. Once a distributor himself, Joe now takes the skills and techniques he learned while "on the road" and applies it to his own business. A collector himself, Joe is a goldmine of information concerning the collectibles business and loves to help his customers find the perfect selection. Joe will befriend every person that comes into The Curio Shoppe, and you are sure to feel very comfortable and welcome in his store. Jean, chief sales clerk at The Curio Shoppe, has worked for Joe for nearly 4 years. Without Jean, Joe would never be able to remember where anything in The Curio Shoppe is kept. Linda is the mastermind of the floor, helping The Curio Shoppe to run smoothly when Joe is away. Because of the multitude of people that have benefited from her assistance, Jean can relate to many buying situations, making it possible for her to help a variety of customers with a variety of needs. Linda looks forward to every customer that comes into the store.